Low maintenance landscaping: The smart choice. Low maintenance landscaping does not have to mean boring or drab. The growing trend in many landscapes is to incorporate features that will not need constant tending and resources to look great. Typically, grass and ornamental flowers are the biggest consumers of time and water. It is possible to create a great looking lawn without needing these items. Let's start with the grass. Grass covers the most amount of space in most landscapes, which is typically why it takes the most amount of water and requires constant mowing. 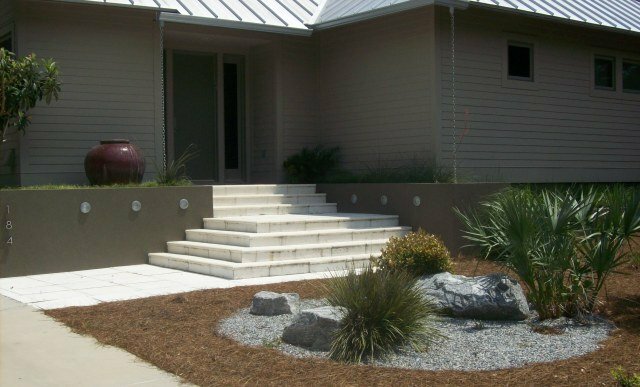 The alternatives such as crushed stone or river rock are great when used in conjunction with decorative edging and carefully selected bushes. Flowers are another consumer of resources. In order to get away from high maintenance flowers that will need constant tending, it is a good idea to select hardy plants that can planted directly into the ground instead of in containers. Container plants have limited space to develop their root zone. This means that in warm, sunny climates it is necessary to make sure they have a steady supply of water. If, on the other hand, you choose a plant that can be directly planted in the ground, you will see that, once established, it will be able to thrive on its own. Other items in the landscape can also benefit from rethinking. Fencing is usually a big part of a landscape. The material of the fence can make a big difference in its maintenance. New fence materials such as recycled plastic or vinyl--although more expensive than wood--will never need painting. 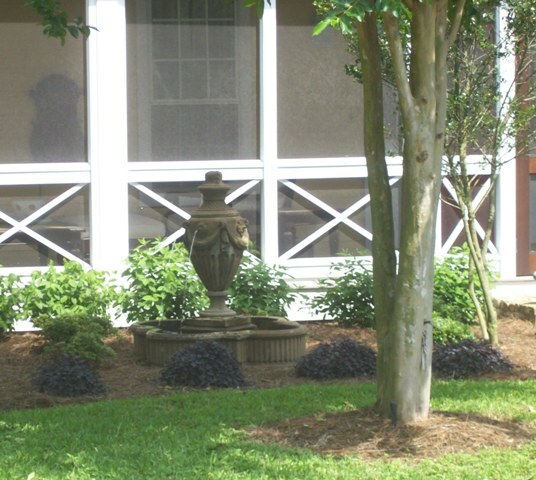 Go to the Home Page from Low Maintenance Landscaping.